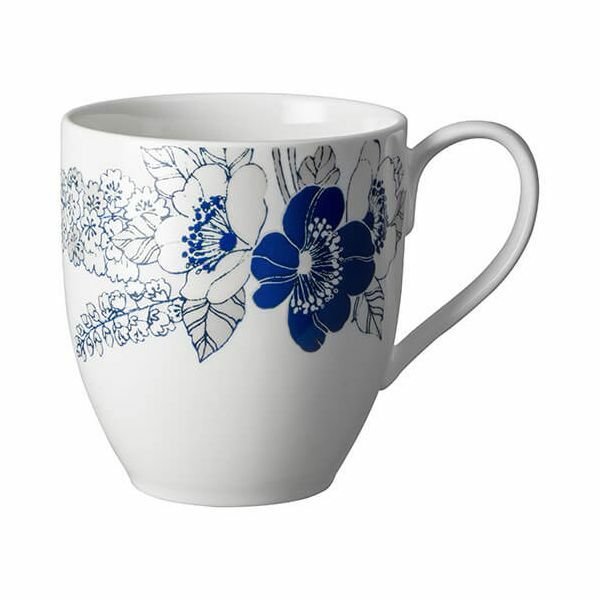 This Large Mug is part of the delightful Monsoon Fleur collection by Denby. With a 370ml capacity this Mug features delicate fine line work in striking Cobalt Blue and shimmering silver on a soft, cream china background. It will look stunning when teamed with the Cobalt Blue Small Mug from the same range. The design team at Denby have used a pattern taken from the Monsoon fabric archive as the inspiration for this modern take on a tableware classic. The contemporary dark Cobalt Blue works wonderfully with the delicate fine line work, shimmering silver decoration and soft cream china. Perfect for entertaining and special occasions or everyday use.